Thanks Charlotte. 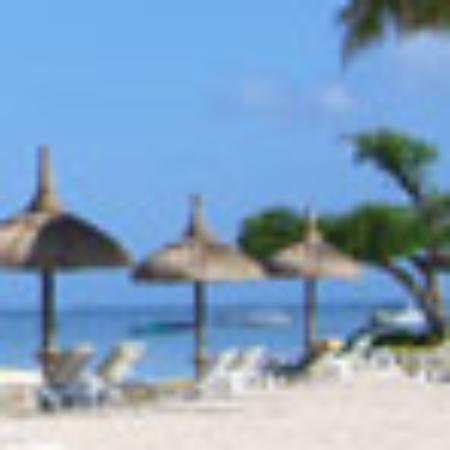 So pleased you enjoyed it and thank you for looking after the property. Wow! 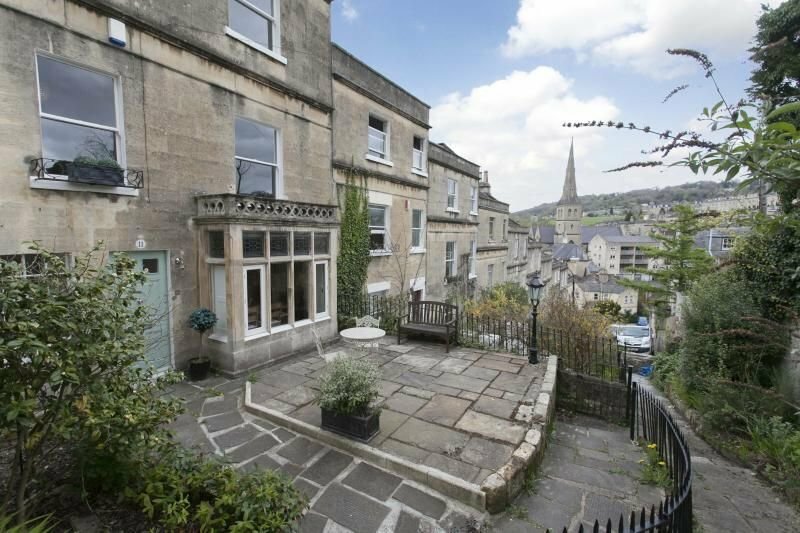 Excellent holiday rental in Bath! Thanks Liz for taking the time to write and for your suggestions. So pleased you enjoyed it. A nice welcome pack. Beautiful views. Socialable space - ideal for spending time with family/friends. Much closer to the city center than the map suggested with the train station being a 10 minute walk with luggage. Very steep access will make it unsuitable for some. The ground floor has a smart and spacious open-plan kitchen and diner that can become a cosy retreat. 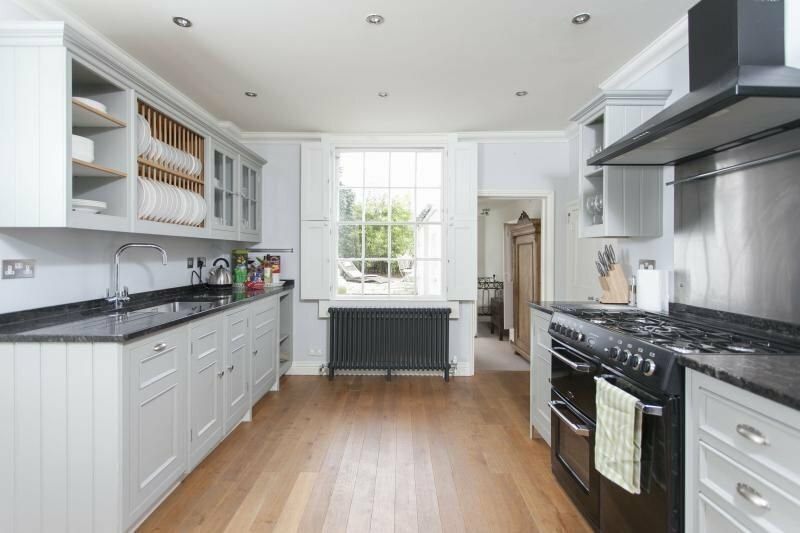 Centrally placed in the period kitchen with granite work surfaces, is a large range style cooker with a 5 ring gas hob, 2 ovens and a grill. Appliances include a microwave, small dishwasher, small fridge and separate freezer and plenty of china in plate racks. In the middle section of the room is a wood-burning stove set in a handsome bath stone fireplace with a basket of logs, a large leather sofa and small TV. 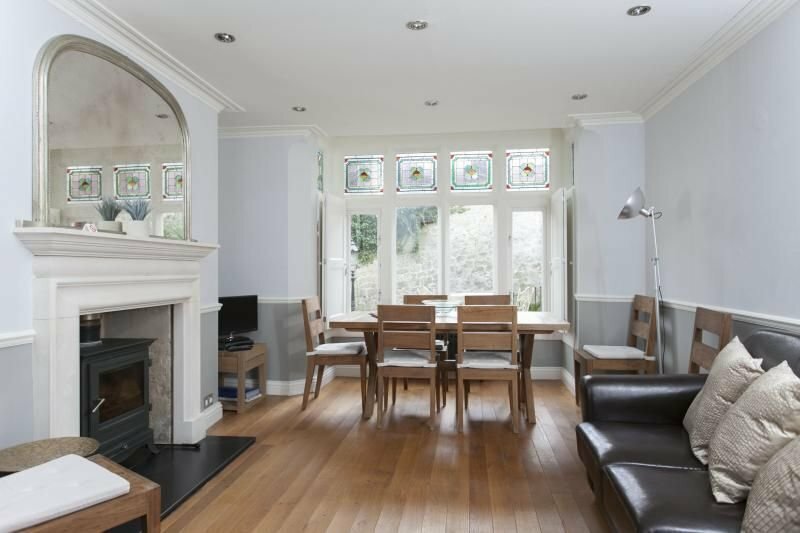 At the far end, in a pretty square bay with decorative stained glass, is a contemporary oak dining table to seat 8. The dining area looks onto a pretty paved front terrace with a bench and outdoor table and chairs for 4. A linear tiled cloakroom with WC and sink set into a wood worktop doubles as a utility with a washing machine and separate dryer. Behind the kitchen is a pretty little study with a small desk and chair along with a well-padded decorative iron bench. Outside is an attractive raised courtyard with lovely views over the city. There is a pretty table and four chairs, two sun loungers and a gas BBQ ready to fire up. The original stone staircase has a smart grey runner leading up to a large contemporary shower room on a half-landing Tiled in smooth creamy travertine throughout, it has a large walk-in shower, double hand-basins and a WC in a separate alcove. On the first floor is an inviting living room in rich warm browns, cream and silver with original cornicing and working shutters - a feature throughout the house. At one end is a handsome decorative bath stone fireplace with mirrors reflecting pretty hanging chandeliers. Choose between a large 3-seater sofa, 3 armchairs, a contemporary chaise longue or a vast leather beanbag. On a wood cabinet is a TV with DVD and Sky satellite along with a selection of films. Also on the first floor is a pretty bedroom with a 5' bed, dressing table and decorative stool. Two built-in alcove cupboards provide hanging space and storage. On the second floor is a large light and airy cream master bedroom with gorgeous green vistas. A comfortable super king 6' bed has alcoves either side with a selection of novels. A wardrobe provides hanging space with a small chest for storage. There is a small TV with DVD. With stunning views overlooking the Abbey and City centre, is an indulgent bathroom with a gorgeous egg-shaped free-standing bath tub. It is tiled throughout in smooth creamy travertine with a lovely decorative fireplace adding to the ambience. Add to this a large walk-in shower, double hand basins and WC for complete luxury. Finally, a pretty twin room has two 3' beds (which can be zipped together to make a superking bed) and a shelved alcove full of books. A fitted cupboard has lots of shelf space and there is a further cupboard on the landing with plenty of hanging space.